You do not want to miss this exhibition if you are in Melbourne! 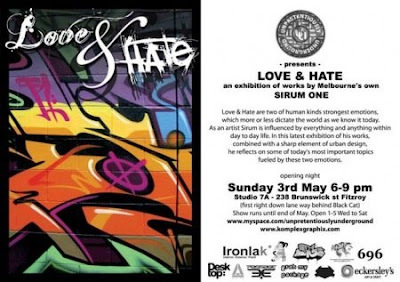 One of Australia's top writer, Sirum will be having an opening on May 3rd, 2009 at Studio 7A Melbourne for his exhibition, Love & hate. 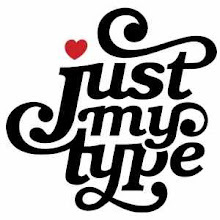 Click here to be directed to Sirum's website to find out more about his work.